Could my Struggling Reader be Dyslexic? Just Diagnosed - What do I do? 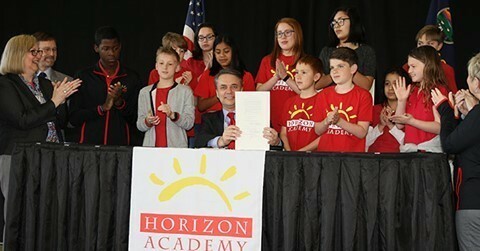 Governor Jeff Colyer signs SUB HB 2602 - Dyslexia Taskforce Bill! Want to stay in the know of upcoming Dyslexia Johnson County Events? 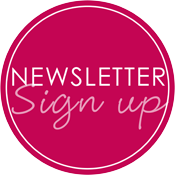 Please sign up for our Newsletter here! Dyslexia Johnson County is a parent-led advocacy and awareness group. Our goal is to provide parents with a connecting point to share knowledge and resources for their kids with dyslexia. Kansas Families: Families Together, Inc (800) 264-6343 (KS parents) is the Parent Training and Information Center (PTI Center) serving Kansas families of children and youth with disabilities and/or special health care needs from birth through 21 years old. Missouri Families: MPACT (800) 743-7634 phone is a statewide parent training and information center that serves parents of children with all disabilities. Our primary goal is to assist parents in their effort to effectively advocate for their children's educational rights and services. MPACT staff and volunteers are located throughout Missouri and work with public and private agencies, parent groups, professional organizations and advocacy groups to achieve that goal. Purpose of Assistive Technology for Kansans: Increase statewide access of assistive technology devices and services to people of all ages and abilities. Kansans of all ages with any type of disability or health condition can request information/referral, evaluation, and demonstration of equipment, technical assistance or training supports by calling 1-800-KAN-DO-IT. Assistive Technology for Kansans has five regional Assistive Technology Access sites that have assistive technology specialists, funding specialists, access to technology devices, and contacts with experts in all areas of technology. Areas of assistive technology covered: computer access devices and software, activities of daily living, assisted listening, communication, education/learning, environmental control, leisure/play, and mobility. The project is guided by an Executive Advisory Board composed of consumers and disability agency and organization representatives. This group reviews barriers to technology access and suggests strategies related to finance of technology, reutilization/recycling of technology to increase access at low to no cost, increased demonstration and loan or trial use of possible technology solutions. What is Assistive Technology, can it help, and how can one receive AT in the IEP? This 60-minute webinar will provide a brief overview AT assessment in the following systems: Public Schools (K-12), Medical, Colleges/Universities and Employment. Learn when AT assessment is necessary, who should conduct an assessment and the process used in these systems to request and conduct assessment.